TONEprotocol – The future of mobile marketing. to deliver content to any smartphone. This video shows TONEprotocol integrated into the iHeart Radio app. TONE-tags layered over the broadcast trigger a Subway Sandwich Coupon. TONEprotocol is thefuture of mobile marketing. Never requires added hardware or infrastructure investment. The ‘Tone-Tag,’ is an imperceptible audio beacon. Our technology can be tied into any app and converts a TONE-Tag beacon to a numeric code which can be deciphered by any smartphone. With endless integrations, TONE-tags allow you to reach customers in real time. 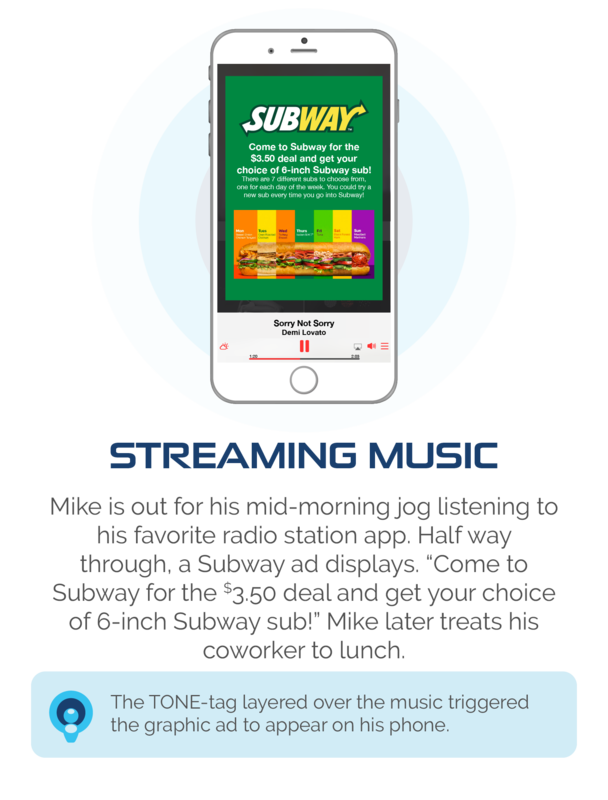 TONE-tags can be layered over a variety of mediums, from music and video streaming, TV and radio, video games and films to any retail environment. The technology has numerous uses, never requires added hardware or infrastructure investment, and works on any sound-enabled platform or medium. 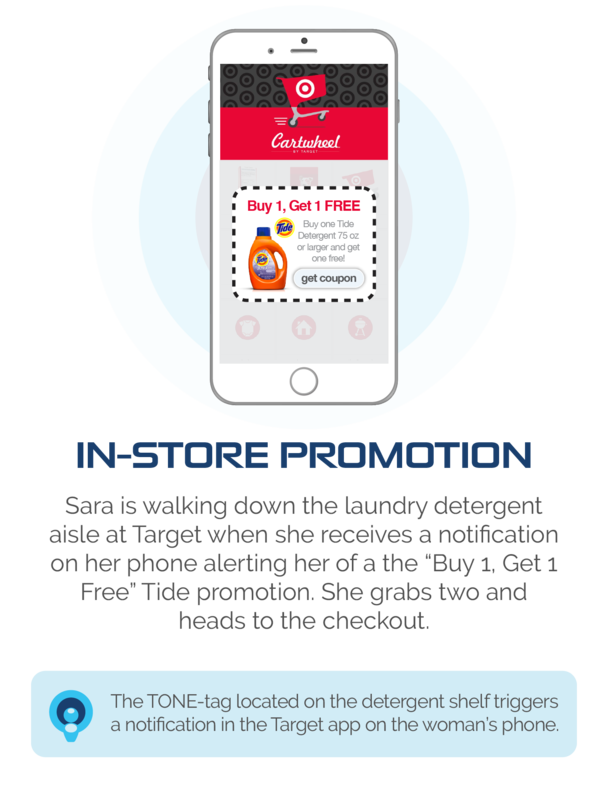 With endless integrations, TONE-tags allow you to reach customers in real time. This patent-pending technology is exclusively availableon MusicDealers.com. 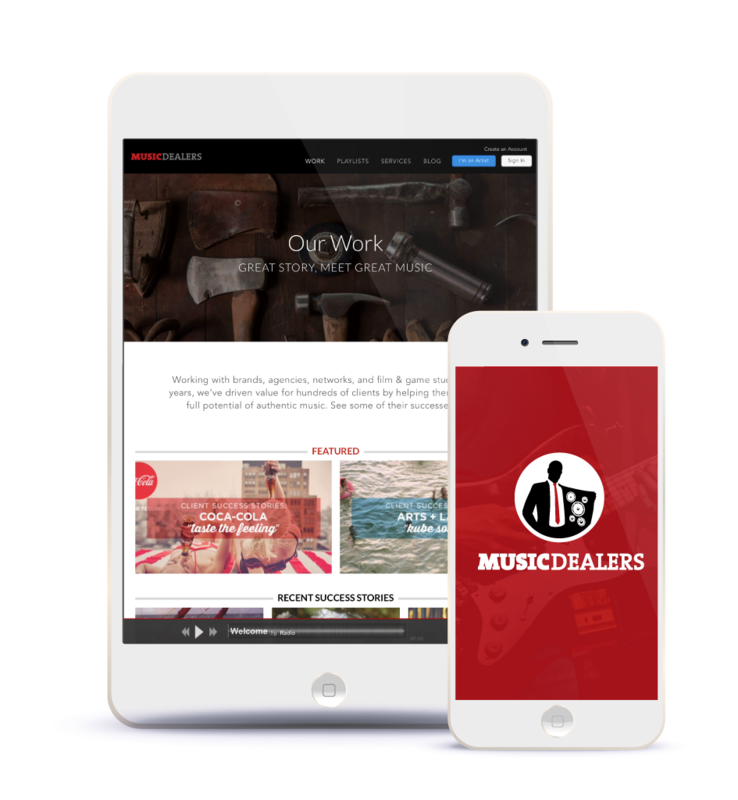 MusicDealers is a fully automated platform where anyone can license music for radio ads, TV ads, online ads, movies or video games. All of MusicDealers music is pre-cleared for these uses. 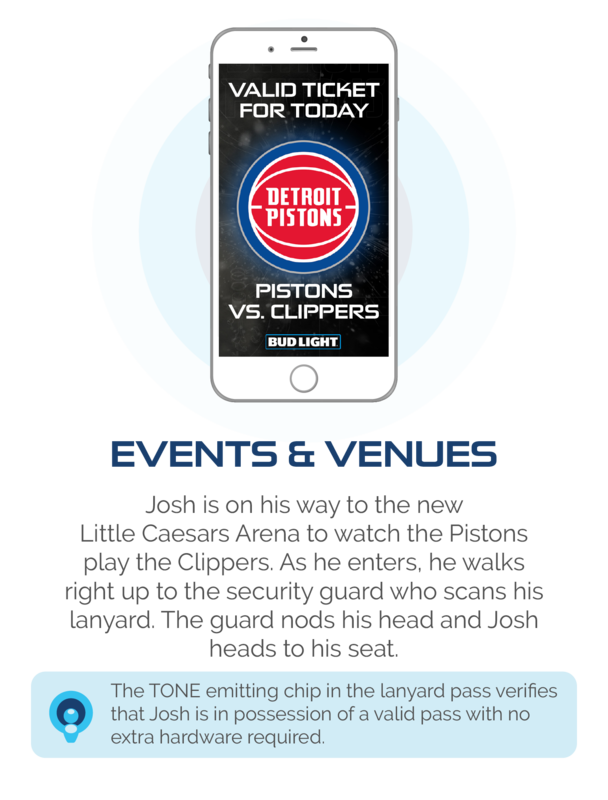 TONEprotocol​ is a patent pending technology that utilizes inaudible tones to deliver content to any smartphone. It is exclusively available on MusicDealers.com, powered by BrandSpins.